We were recently lucky enough to live the high life and experience Bokan’s Bottomless Brunch. 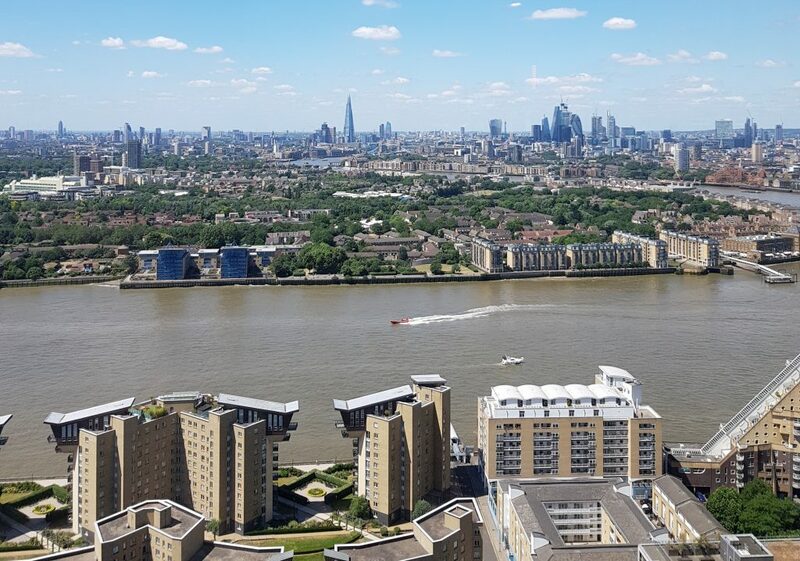 The restaurant can be found above the Novotel hotel on Marsh Wall, and as it’s on the 37th floor you’re guaranteed incredible views over London whilst you dine. Although it isn’t your typical brunch menu, the selection of food on offer is exceptional. The bottomless prosecco is not an exaggeration either; our glasses were never empty during our visit thanks to our observant server who made sure we were topped up at all times. As soon as you sit down at your table you’re greeted with three things: a wonderful view of London, a glass of prosecco, and some of the best bread you’ve ever eaten. Seriously. The bread is still warm and comes with plenty of salted butter to slather on. The biggest challenge is not devouring it too quickly as you know you’ve still got three courses of food ahead of you! Organic pugliese burrata, pickled mushrooms and British little gem salad. The organic pugliese burrata was an immense dish. Gorgeously creamy and an enormous portion for one person. The pickled mushrooms were really tasty, and the dish could only be improved with a few more pieces of the delicious crisp bread to accompany it. A pretty plate that tastes as good as it looks. Beautifully seasoned salmon was accompanied by light and fluffy blinis. The Merryfield duck was delicious, perfectly moist, tasteful and complemented beautifully by the beans and chorizo. A French take on the traditional breakfast dish of steak and egg. It was a really juicy piece of beef (cooked medium rare, unless you specify otherwise). As we’d come to expect, this was a large portion and I struggled to finish it! Easily the best part of the meal, the gianduja mousse was light with a gorgeous chocolate shell complimented perfectly by the sweet tartness of the lemon curd. The ice cream and caramel crisp were delicious and I could have eaten more of everything. When dessert first appeared in front of me I was slightly confused about why it included baby potatoes! However what looked like seasoned baby pots were in fact perfectly ripe and juicy peach slices. The shortbread at the bottom of the tart wasn’t too sweet and this was another balanced and delicious dish. As you can tell, we were very impressed with the bottomless brunch. At almost fifty pounds per head it’s probably a special occasion type of meal, but although it’s a little on the pricey side for a brunch menu it’s excellent value for money. The views are some of the best in London and although the brunch menu changes regularly, you’re guaranteed an excellent meal with great service. We received a complimentary meal but all our opinions are our own.